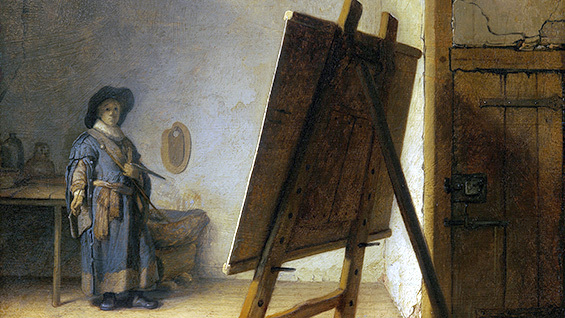 Once upon a time the practice of painting was the paramount artistic discipline. Now its distinction wavers somewhere between a sacred space and a ghetto. Does the study of painting today require a commitment beyond the capacity of the generalist curriculum? Does the practice of painting, as distinct from image-making, support or damage other disciplines? Four Cooper Union painters hash it out in a free, public event. Robert Bordo is an Associate Professor of Art at The Cooper Union, where he leads the painting program. James Brittingham is a Lecturer at the Mason Gross School of the Arts. He graduated from Cooper Union in 2007, and Mason Gross in 2012. James Leary is an Adjunct Professor of Art at The Cooper Union, where he teaches Drawing. He graduated from The Cooper Union in 2005. Sophy Naess is an Adjunct Professor of Art at The Cooper Union, where she teaches Painting. She graduated from Cooper Union in 2004, and Mason Gross in 2013.